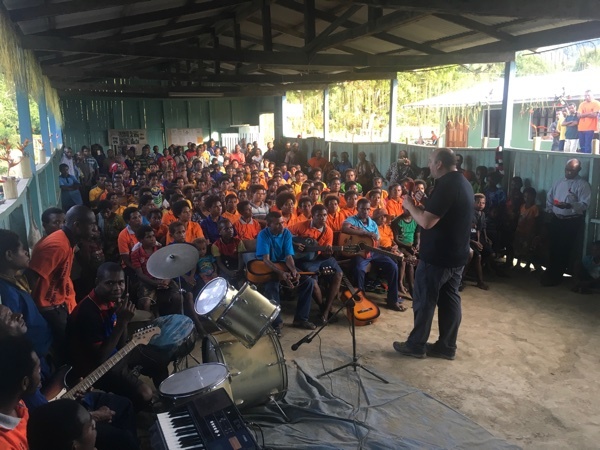 For the past 13 days, Pastor David Manley (Palmerston North NZ) and I have been visiting our centres in Papua New Guinea. 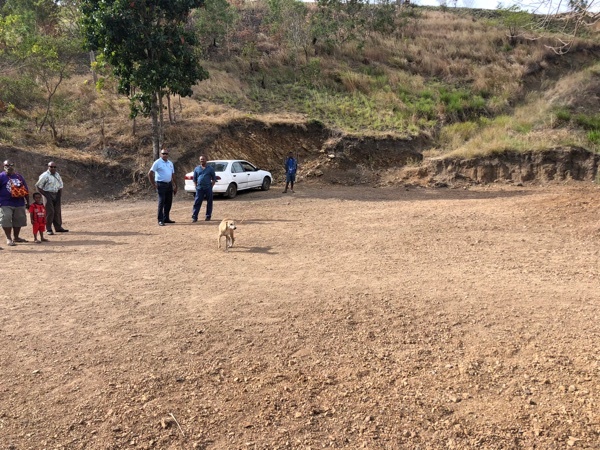 We arrived in Port Moresby on Wednesday 22nd August and went and visited the new site the Moresby assembly will be building their new hall. The assembly is raising funds to complete this building project. We then flew onto Vanimo where we had three zones converging for oversight training. Vanimo, Amanab and Sissano. Three different oversight meetings were conducted so as to assist the leaders relevant to their areas. Amanab is in the mountains, whereas Vanimo is a town and Sissano is an ocean centre. 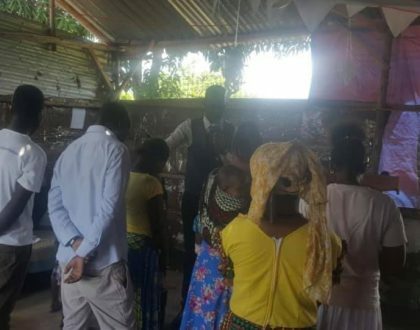 On July 20th the Zone Pastor Esron Wafiwa from Amanab, died after a short illness, leaving behind a wife and two children. It was sad to hear of this, and after speaking with the boys and paying condolences to his wife Matilda, we pressed on with the Zone meeting. A new Zone Pastor was appointed – Luke Naro. The excellent work Pastor Esron had started will continue under new leadership. The next day was for Vanimo. The assembly is building a new hall as they have outgrown their old hall which seated approx. two hundred people, the new building will seat six hundred. 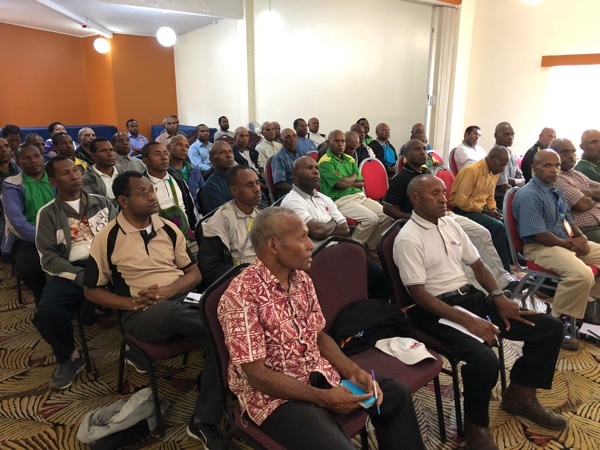 Vanimo is also to host the PNG National Rally; this will be around late June early July 2020. A firm date will be finalised when the school calendar has been gazetted. If anyone is interested in attending this rally, keep an eye on the RCC Events Calendar where information will be posted around mid-2019. Sissano Zone where Pastor Vincent Mainik is in charge. This is a challenging zone to get to, as you can only do it by boat. 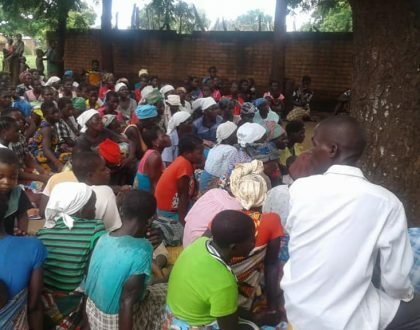 This means they are in an isolated area with few visitors, however with many outreaches the zone is growing. Pastor Vincent and his wife were injured last year over the police matter which has finally settled down. Vincent and his wife have healed from their injuries. He thanks all for your prayers and support. 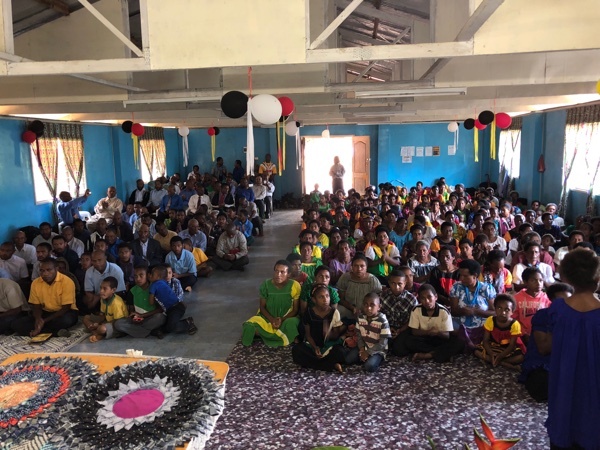 Our next stop was Wewak Zone which hosted of the PNG Youth National Rally where Pastor Gabriel Fito estimated more than three thousand attended. 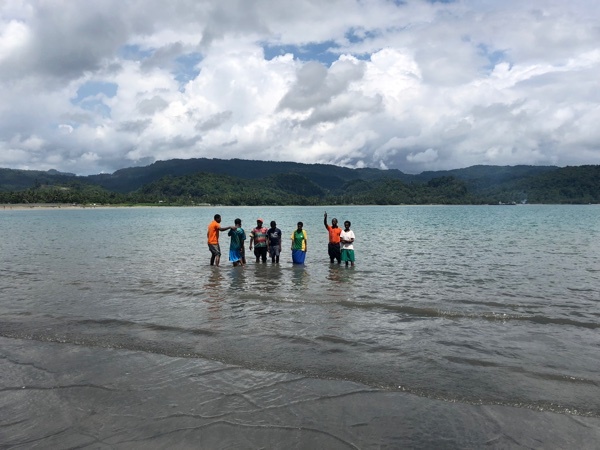 It was a credit to the Wewak Zone and the nearby zones in making the event happen. They were only given three months to plan and execute the programme. The previous venue became unsuitable due to lack of water. Well done Pastor Gabriel and crew. 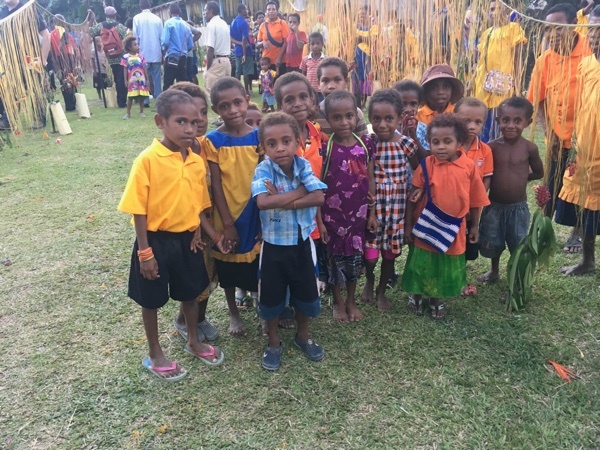 Our final stopover was in Mount Hagen in the Western Highlands of PNG. This zone now also looks after the southern highlands. 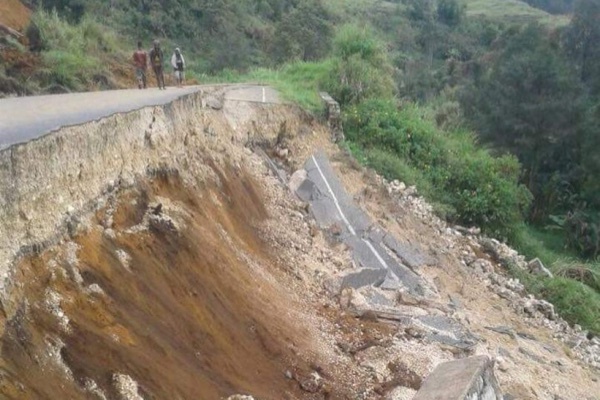 Hela, Tari and Nipa areas were severely hit by three earthquakes (7.5) earlier this year. 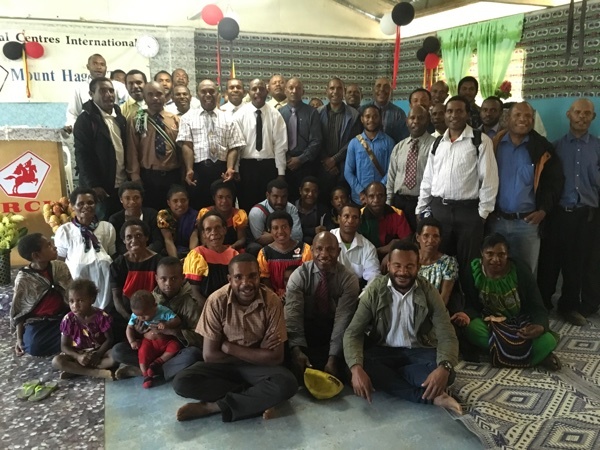 David and I met with the southern highlanders who travelled to Mt Hagen to attend the three days fellowship. We had intended to go down to the southern highlands however we couldn’t because it was deemed too unsafe to do so. They have reported that things are getting back to normal, with crops replanted and homes are in the process of being rebuilt. They received more assistance from RCC than through all other channels. They wanted me to indeed pass on their thanks for all the support they have received. 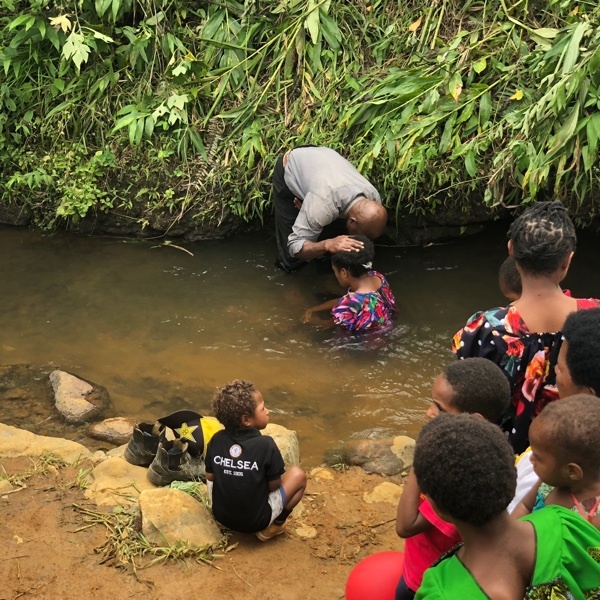 As Pastor Simon Wahl said in his statement from the pulpit this Sunday – They (meaning RCC Mission) cares for us all the way up in the jungles of PNG. 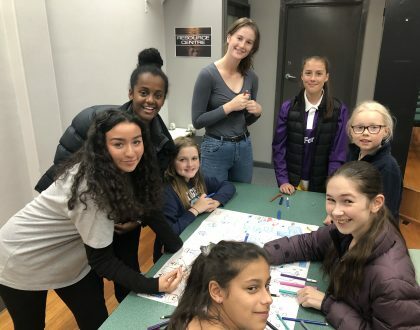 The final leaders meeting was held on Saturday 1st September. 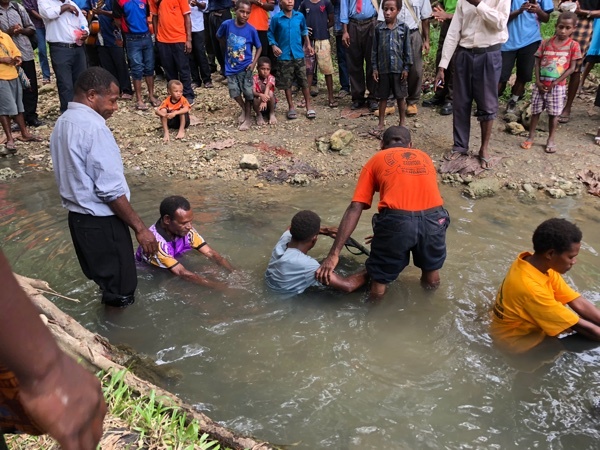 Followed by a communion meeting this Sunday – six people were baptised.